University of Detroit Mercy’s School of Dentistry student group, Dental Outreach & Community Service, or D.O.C.S., was started in the winter of 2017 with one main goal in mind: to find an effective way to help the underserved and underprivileged community of Detroit. The group consists of like-minded students who are passionate about community outreach, patient care, clinic management, and giving back to the community. Together, they set out to initiate a dental clinic that would provide a full range of dental services at absolutely no cost to the patient to ultimately help reduce barriers of access to care. D.O.C.S searched for a location that would be home to this free, student-run dental clinic and came upon Malta Medical and Dental Clinic located inside St. Leo’s Catholic Church. 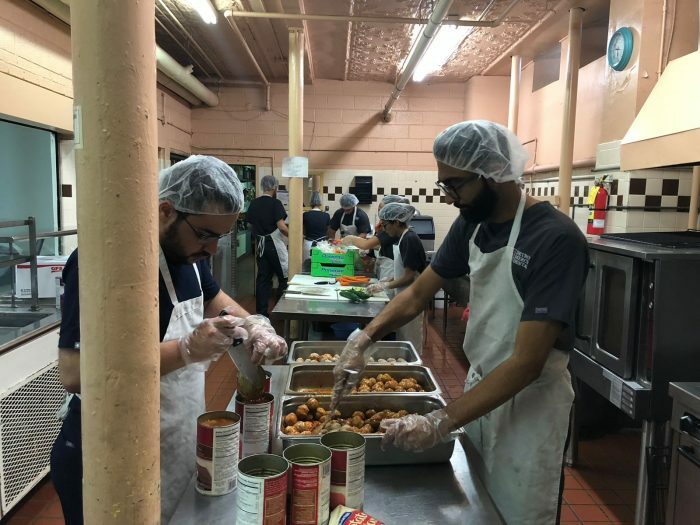 Malta’s mission is to provide services to the sick and poor of Detroit and the surrounding neighborhoods; a mission that aligned with D.O.C.S. 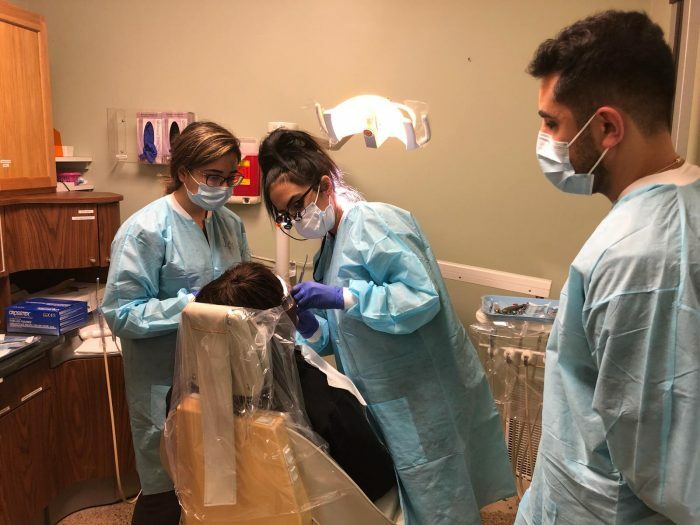 The Malta clinic was open several days during the week, but with the help of dedicated student dentists of D.O.C.S, operational hours were expanded to include Saturdays. While D.O.C.S is fortunate to use the clinic facilities, the group is required to come up with funding to pay for supplies and materials. 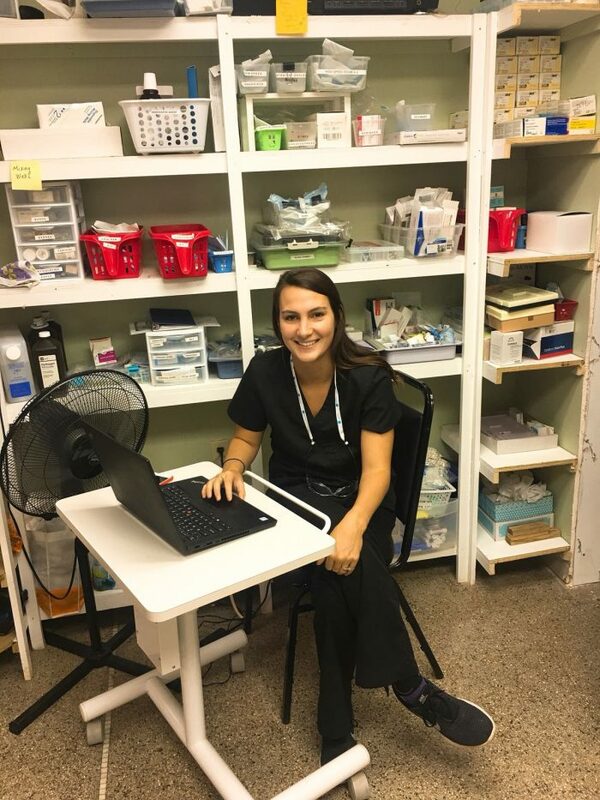 On clinic days, students are responsible for providing treatment (under faculty supervision) and treatment planning, as well as sterilization, record keeping, and numerous other responsibilities required to keep a clinic running. The team of D.O.C.S consists of about 15-20 dental student volunteers from different cohorts and years of study. Since July 2018, comprehensive treatment has been provided to more than 75 individuals at no charge to the patient. At visits, D.O.C.S. also provides oral hygiene instructions and supplies, as well as tobacco cessation counseling if necessary. The group also prepares and serves food in the neighboring Soup Kitchen located in the church to provide meals for those in need. Students also serve in the soup kitchen attached to the clinic. In the beginning of 2019, D.O.C.S received a grant from Ford Community Crops to continue its service to the community. This has allowed us to increase the number of Saturdays we provide services as well as local outreach events. D.O.C.S. is currently working with Wayne State University School of Medicine students to begin a collaborative effort to provide oral health awareness at their own free health clinic. We plan to educate patients about the importance of oral health, providing oral hygiene instruction, tobacco cessation counseling, and oral cancer screenings. Many components must work synergistically in order to provide the care that our patients require and deserve. 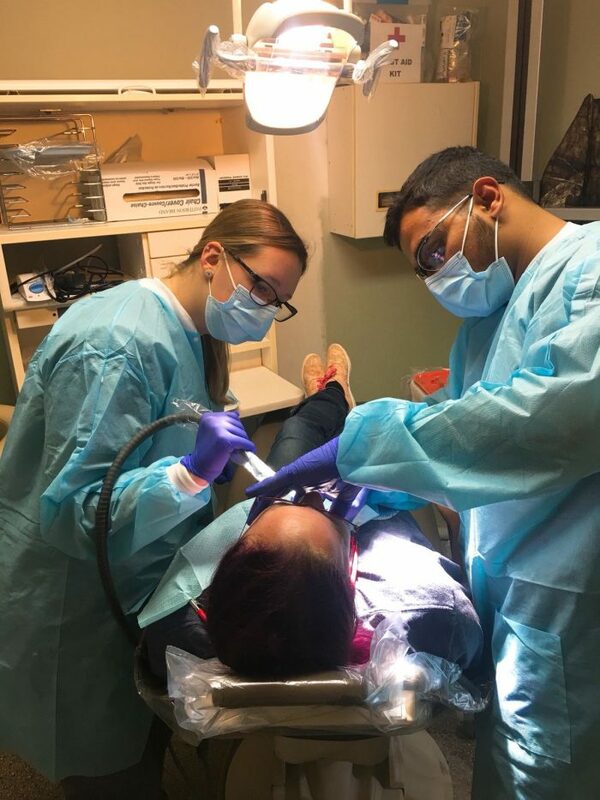 Not only are the student dentists of our organization dedicated, but so are the volunteer staff that spend their Saturdays supervising and assisting on their day off. D.O.C.S. thanks Divesh Byrappagari, D.D.S., director of Dental Public Health & Community Outreach, for playing a vital role in helping to set-up the student-run clinic. Special thank-you to faculty advisor, Ibrahim Zakhary, D.D.S., and all those who take the time to supervise students at the clinic, including Michael Vilag, D.D.S.’13, Mark Mortiere, M.S.’82 D.D.S.’86, Michael Haddow, D.D.S., Theodore Degenhardt, D.D.S.’79, Khashayar Azimi, D.D.S.’18, Reem Aljamaan, D.D.S. as well as Nancy Harmon, R.D.H.